One of our first trips to get accustomed to left-side-of-the-road driving was along the Malahide - Portmarnock - Howth road near the airport. It was a wonderful introduction to the scenic treasure-box that Ireland is. 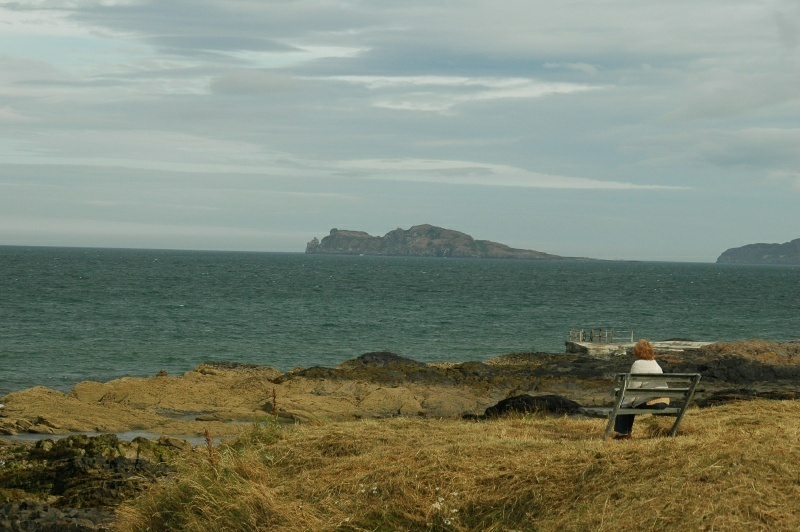 Here, Diane looks at the "Eye of Ireland" island from a bench near Portmarnock.